At the latest Siemens Solution Partner Conference Cleveland Systems Engineering were proud to receive the accolade of "Best Technical Partner". 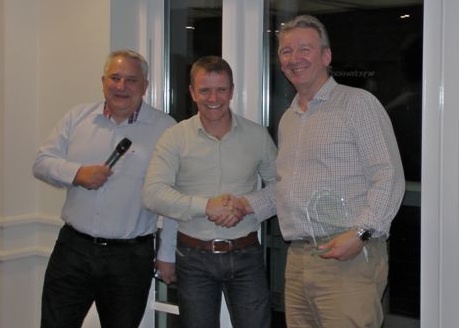 The award for Technical Excellence was presented to Managing Director Tam Ashcroft by Stephen Hughes the Siemens Channel Manager and demonstrates the level of trust that Siemens have in our team of engineers and their high level of competence with Siemens hardware and software products. ACCREDITED SIEMENS DRIVES & MOTION PARTNER (OCTOBER 2013). On the 1st of October 2013 Cleveland Systems Engineering were accredited by Siemens as a Drives & Motion Partner. This is a well earned reward for the many years experience working with Siemens drives products, including Micromaster, G120 and S120 within a variety of industries and applications. After the traumatic events of June and a few months operating as nomads we have finally got a new base and are now operating from Unit 12 Code Business Estate, Henson Road, Darlington, DL1 4NZ. The new premises is 3000sq ft and comprises of five offices, workshop, stores, training room and conference room facilities. THE SHOW MUST GO ON!! (JUNE 2012). 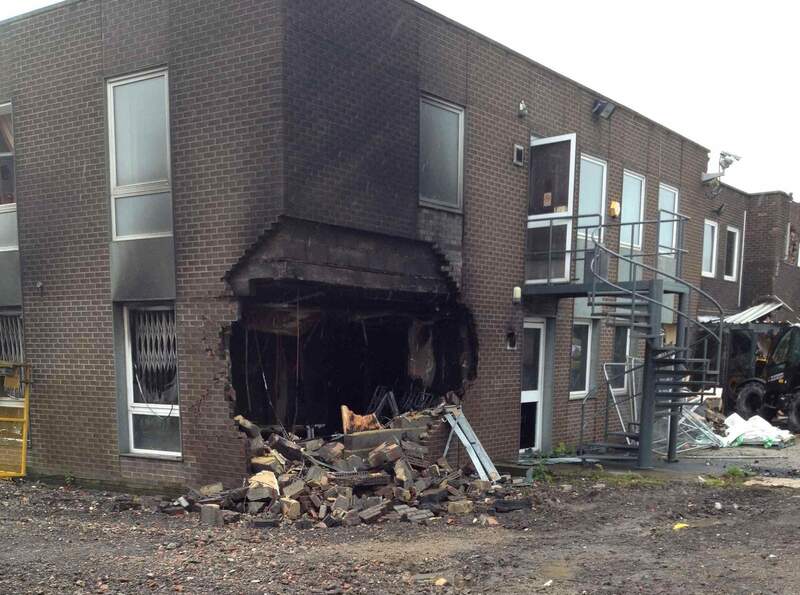 Our offices were destroyed in a bizarre incident that was less like vandalism and more akin to a terrorist attack! Due to the terrific efforts of our staff we were back up and running in temporary offices within a matter of days and there was no noticable impact upon suppliers payments or on project completion times! 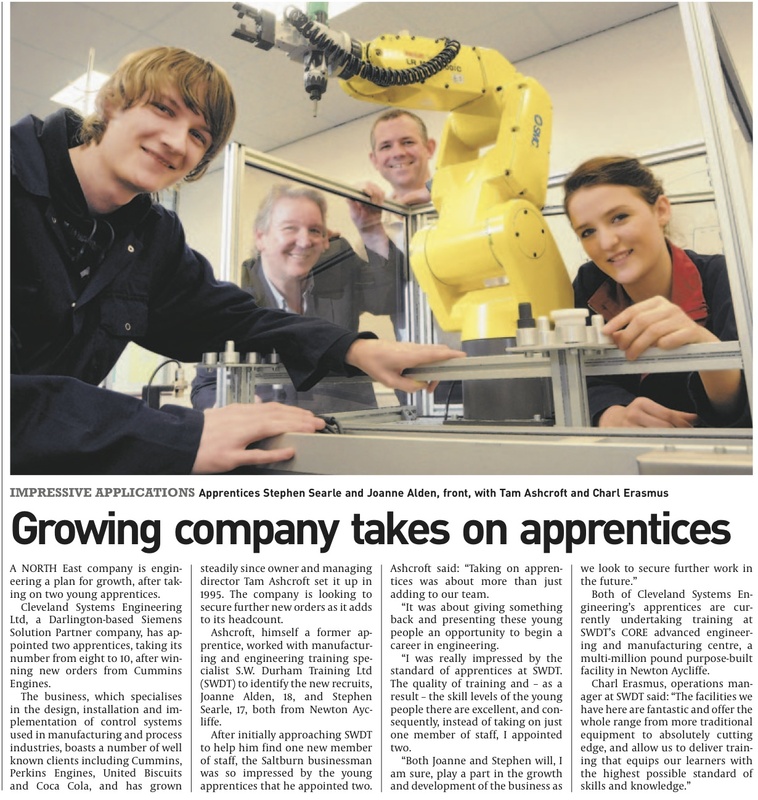 NEW APPRENTICES JOIN THE TEAM (APRIL 2012). After spending six months at South West Durham Training School, Joanne and Stephen join the company as Apprentice Controls Engineers. Our new recruits will gain hands-on experience of control panel build and on-site installation before getting to grips with Siemens PLC applications.